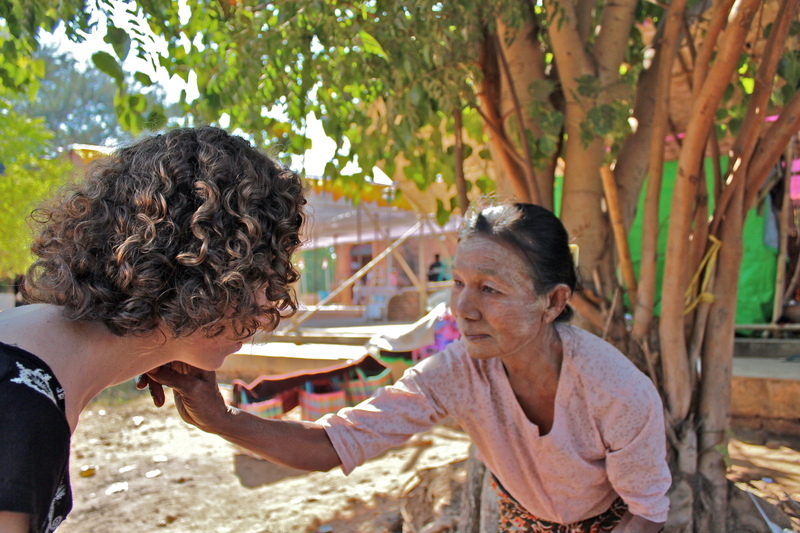 These photos were taken in Bagan, Myanmar (formerly Burma). 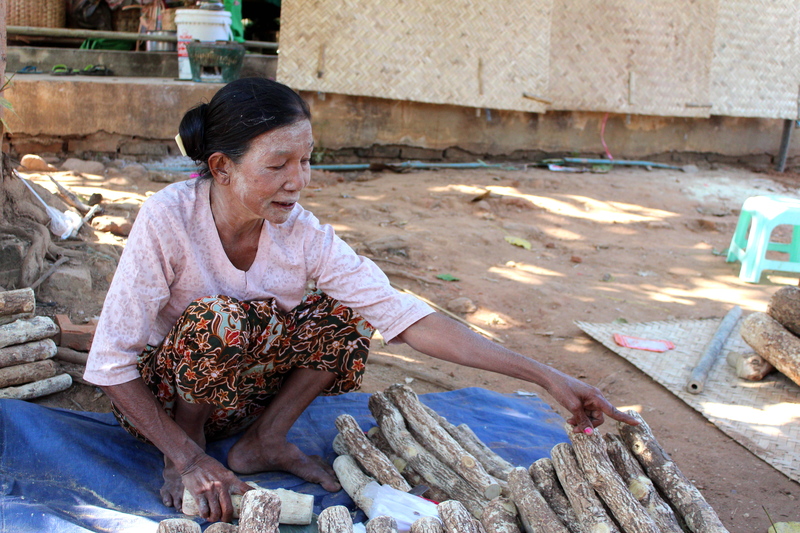 This woman is selling Thanaka, a sort of cosmetic bark paste that’s pretty common in Myanmar. The paste is applied to the face, and sometimes the arms, it sort of acts as a sun block, and its used to keep people cool. We bought some from this woman; she was really sweet, and she was REALLY excited that we were interested in this. It’s sold mostly to locals, and you don’t really see tourists with it, but we were curious. She showed us how the paste was made, let us smell it, and applied it to both mine and my sister’s faces. She didn’t speak any english, but it was a really interesting interaction all the same, and even with the language barrier it was easy to tell that both of the parties involved were equally interested. Myanmar is a fantastic place, and probably one of the more interesting countries i’ve visited, mostly because it’s an awesome place, but also because it’s really just starting to become a tourist destination. The people are friendly, the food is fantastic, the culture is really incredible, and the art and archaeological sites are just amazing. I would ABSOLUTELY recommend a visit to Myanmar! I’ve only been to two cities there, but I would highly recommend both Bagan and Yangon.